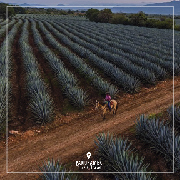 Casa Herradura, one of the oldest distilleries in the heart of the agave fields of Jalisco, is located in the heart of the Amatitán Village, where tequila has been produced by hand for more than 145 years. 09:30 hrs. 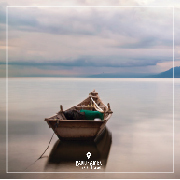 Transfer from your hotel or home address within the metropolitan area. 10:00 hrs. Registration at the Guadalajara train station. 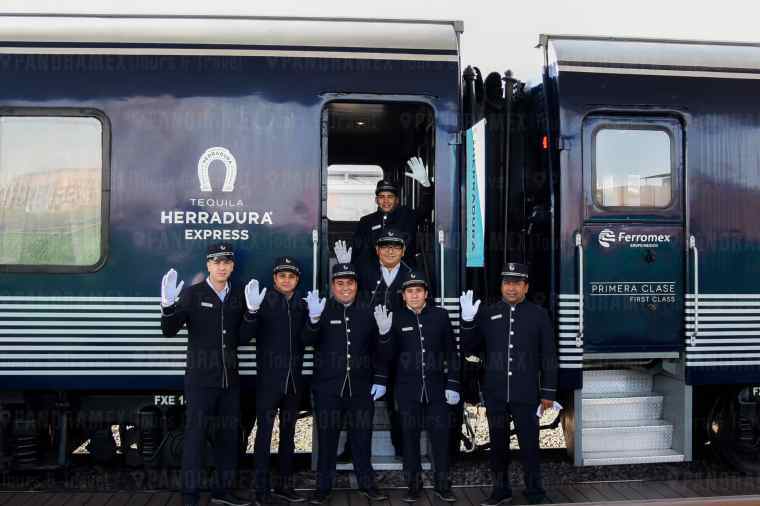 11:00 hrs Departure by Herradura Train from Guadalajara Station to Amatitán, Jalisco. 12:00 hrs Arrival in Amatitán, Jalisco. 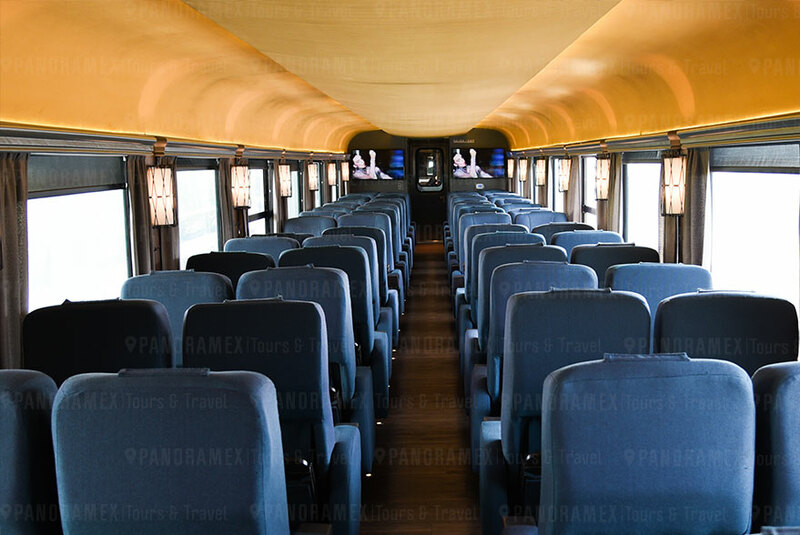 12:30 hrs Transfer by luxury tourist bus to Herradura house. 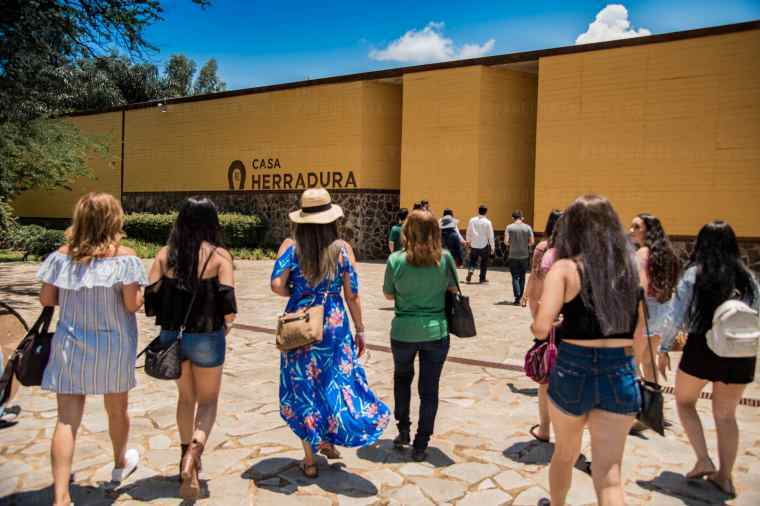 14:30 hrs Herradura distillery tour. 16:00 hrs Food with folkloric show and Mariachi live. 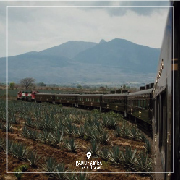 18:05 hrs Boarding and departure at Herradura Express Train to Guadalajara. 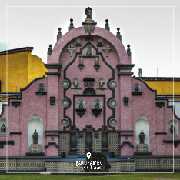 19:30 hrs Arrival at Guadalajara train station and Return to your hotel or private home. This wagon is equipped with comfortable seats with a fresh and youthful style. 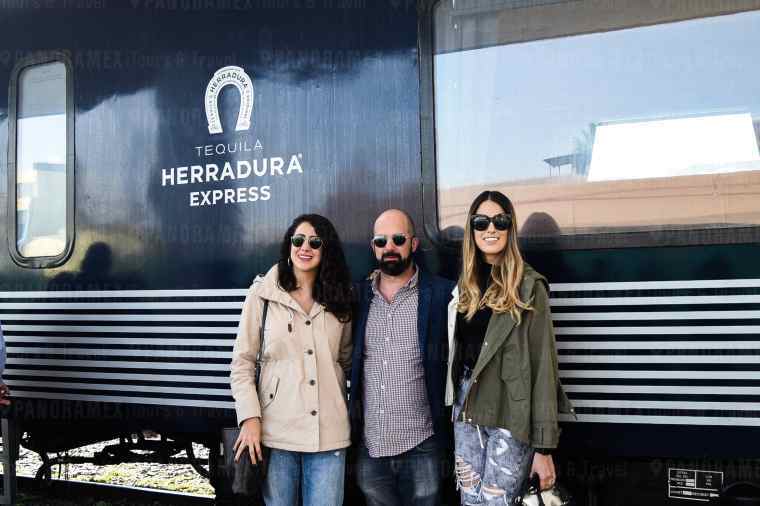 Enjoy Herradura tequila cocktails, which guarantees a pleasant trip to Casa Herradura in Amatitán, Jalisco. 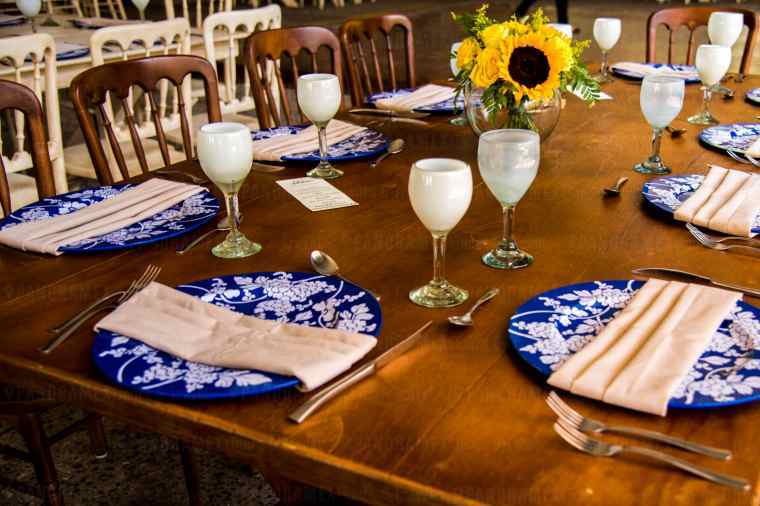 where you will have a guided tour with an expert on the hacienda to later enjoy his exquisite three-course Mexican food enlivened with mariachi and folkloric ballet. Free bar in beverages based on Herradura tequila. Roundtrip transfer from Guadalajara to Amatitán. 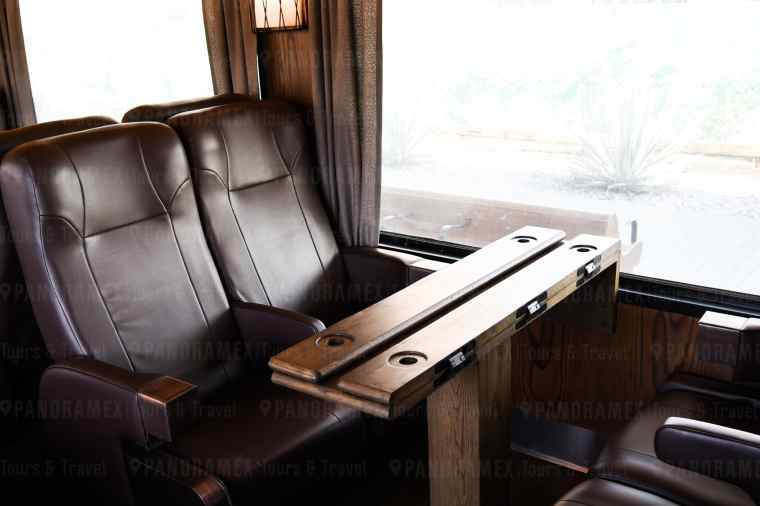 The best option for a comfortable and private experience, the wagon has four comfortable seats found with a table in the middle to enjoy the Mexican aperitifs, music and entertainment, tequila-based cocktails that this wagon offers on its way to Casa Herradura. a guided tour with an expert. Enjoy the exquisite three-course gourmet Mexican food enlivened with mariachi and folkloric ballet. 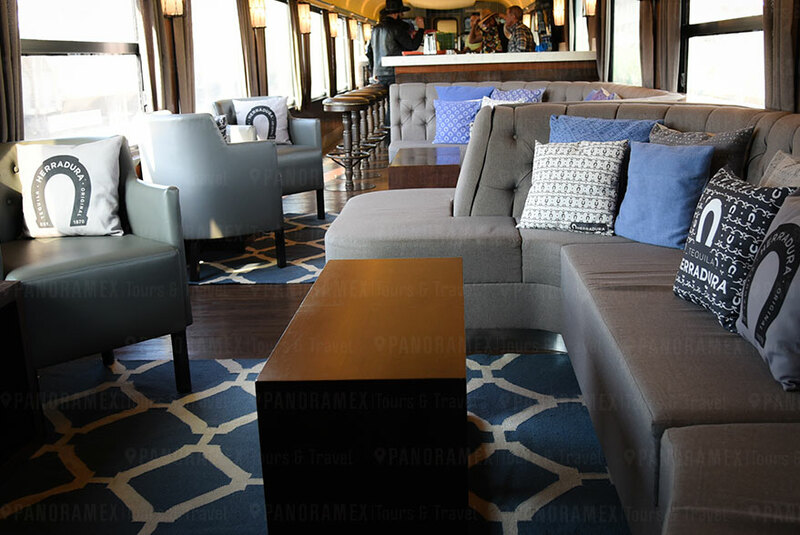 In this luxury wagon is the exclusive service mixology, snacks and beverages based on Herradura tequila to liven up the trip. 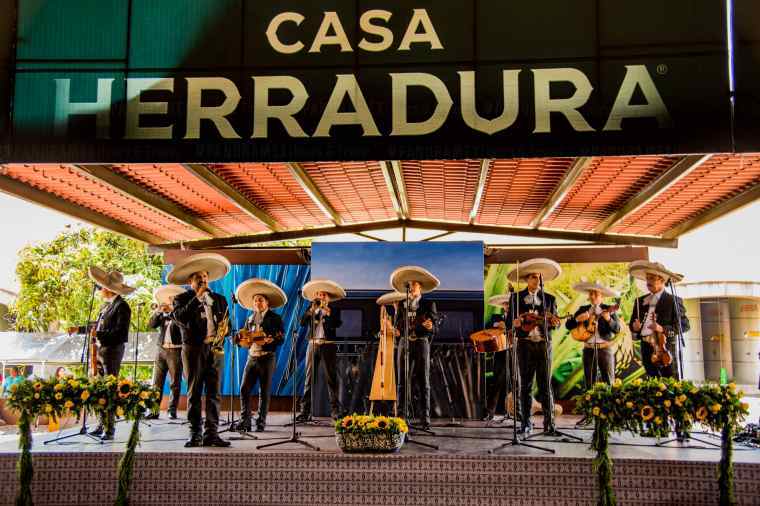 Enjoy this experience with sophisticated lounge, music and entertainment rooms that this car offers on its way to Casa Herradura for a guided tour with an expert to later enjoy its exquisite three-course gourmet Mexican food enlivened with mariachi and folkloric ballet. Attend the exclusive tasting of Tequila Herradura Directo del Alambique, Ultra and Selección Suprema within the impressive Cavas.